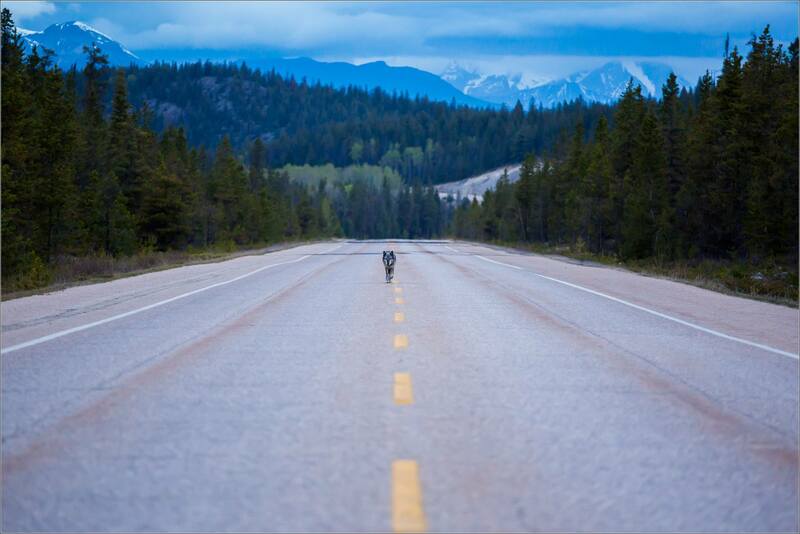 I left Jasper early in the morning heading south along the Highway 93, enjoying the empty road given the time of day. I had hopes of finding a bear or two along the forest’s edge during my drive through the park (and did sight a very handsome fellow a little later). I had gone about ten kilometres out of town and then felt compelled to retrace my path, thinking I would drive back to last bridge before town and then head south again. Turning back, I went a couple of kilometres and then saw an animal quite a distance straight ahead. I pulled off to the shoulder and levelled my long lens quickly. 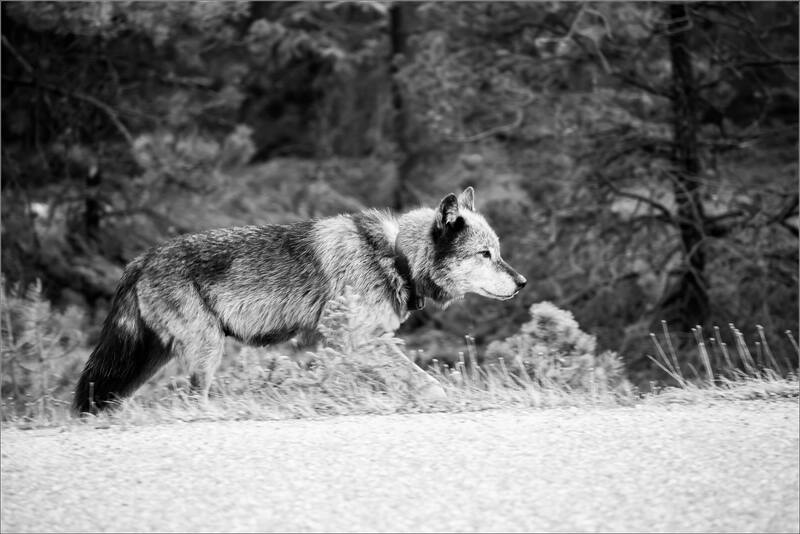 I was happy to have a composition with the wolf in the middle of the road with the surrounding landscape visible. 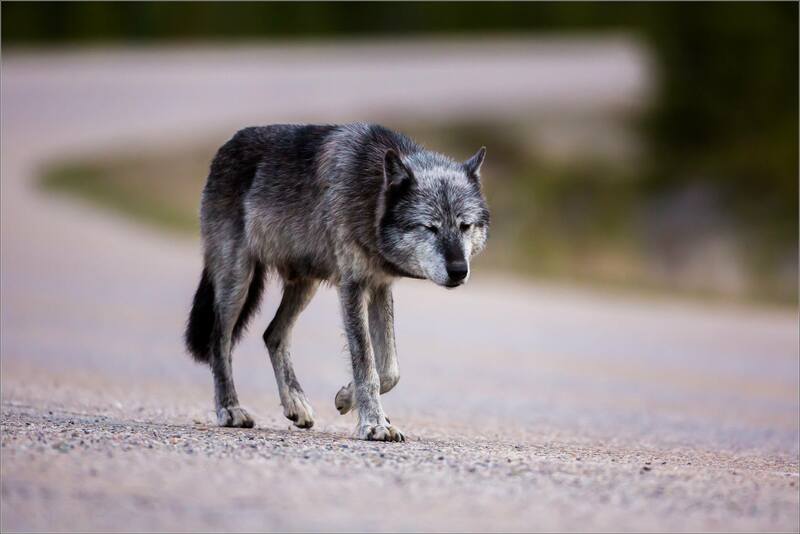 I watched the wolf trot steadily down the middle and shoulders of the highway for several minutes. She had a route in mind and stayed on it. She paused near an opening to the river, and I had thought she might go down to the water. That wasn’t her path as she carried along the road, passing me on the other side and stopping to give me a stare before moving on. At close range I noticed her tracking collar and it seemed like she had been freshly shaved around the neck so I wonder if she had been fitted with a new collar and was now catching back up with her pack. Wolves are one of my unicorn animals. That is to say that I don’t see them anywhere near as often as I would like. So it is very special when I do get to spend time with one. 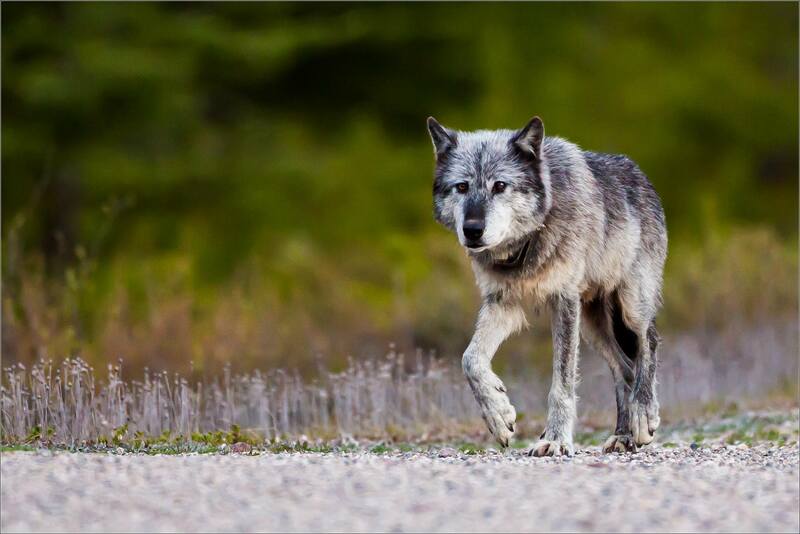 Especially one as pretty as this wolf! This entry was posted on May 22, 2015 by Christopher Martin. 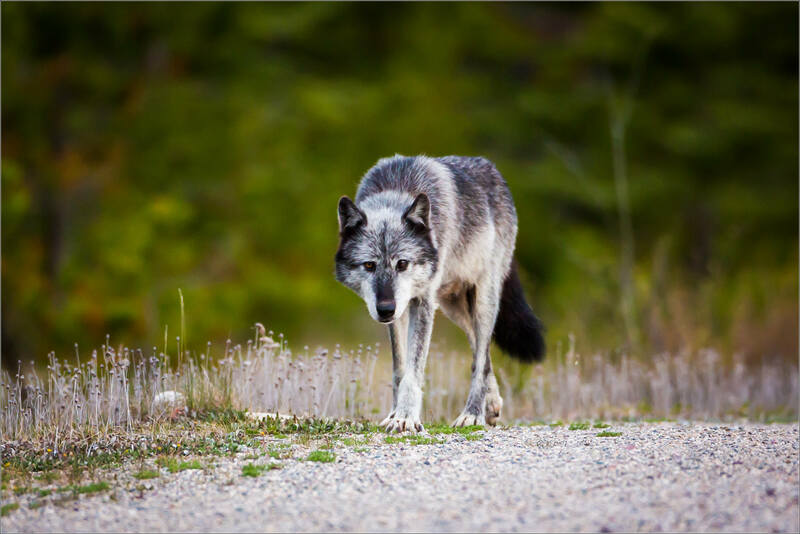 It was filed under Jasper National Park, Nature, Wildlife, Wolves and was tagged with alberta, animal photography, Canada, Highway 93, Jasper National Park, nature photography, wildlife photography, wolf, wolves. Hi Chris, we have seen her on May 31/15. 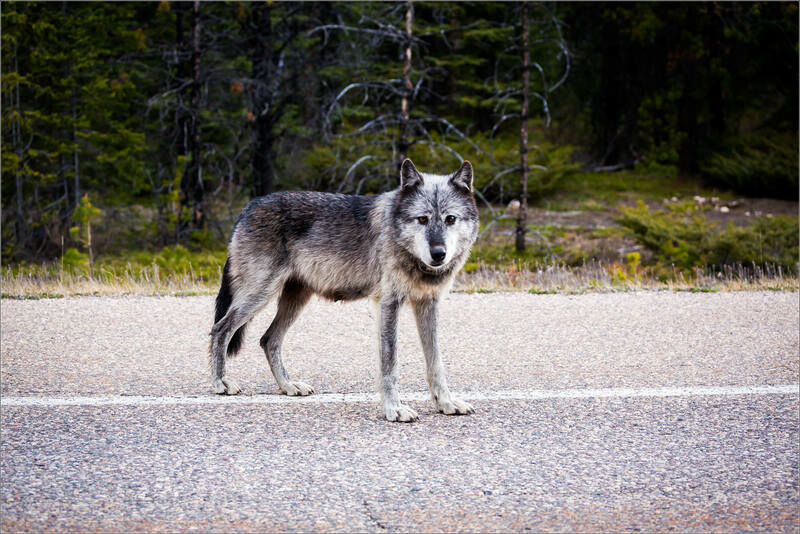 About 40km south of Jasper on 93.I believe she is known as wolf 112. If it is she has been exiled from the Sunwapta pack. CBC has a story by Rachel Maclean on Nov 17/14. We got a few good pictures of her as well, but nothing like yours. What an encounter, Christopher. The close-ups are beautiful and the shot standing in the road is powerful. 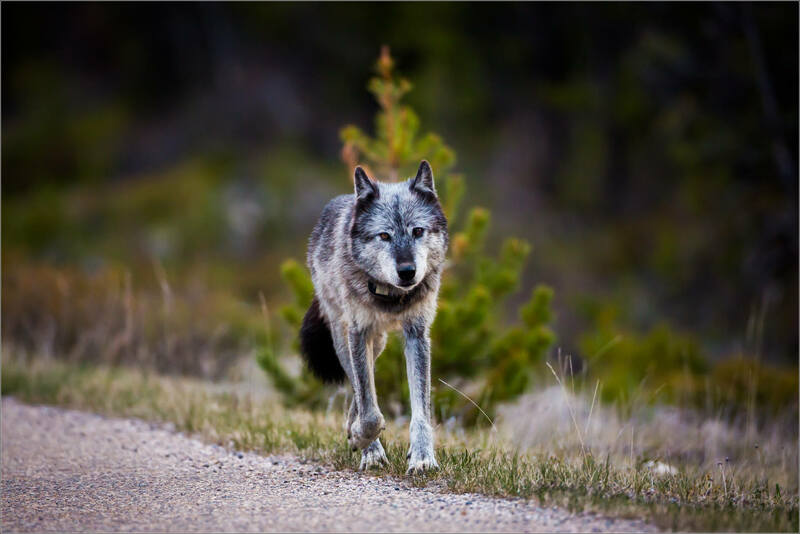 The photo of the wolf on the highway is fantastic!!! A wolf the most special animal.